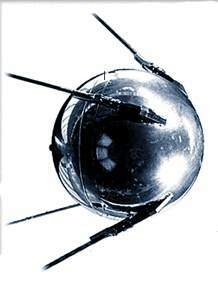 45 years ago last evening saw the dawning of the Space Age with the launch from Baikonur of the little beach-ball sized Sputnik, which amazed the world as it orbited the earth, emitting a series of a single note (B-flat, if you care to sing along). Actually, here is a .wav file of actual telemetry from Sputnik passing overhead in 1957. Just 45 years to bring satellite internet service to Downtown Pendroy!